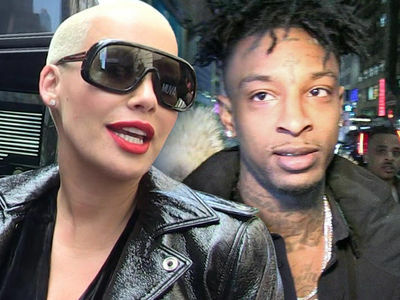 21 Savage scoffed at the notion things are moving too fast between him and Amber Rose, because he says they didn't just hook up yesterday. We got the couple leaving 21 Savage's album release Friday for Issa Album in Playa Vista, CA. He's clearly happy he met Amber's family and she met his ... and threatened anyone with physical violence if they disrespect her. He also gave a big shout out to the bush.